Religious life continued to evolve in the thirteenth century as it had in the twelfth, and the evolution necessarily involved the retention of some traditional elements as well as the introduction of original creations. 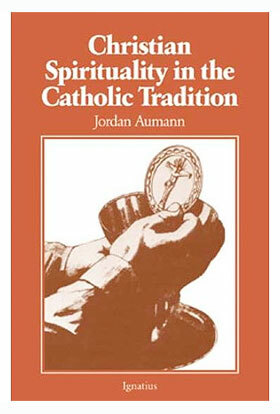 In fact, the variety of new forms of religious life reached such a point that the Lateran Council in 1215 and the Council of Lyons in 1274 prohibited the creation of new religious institutes henceforth. Nevertheless, two new orders came into existence in the thirteenth century: the Franciscans and the Dominicans. As mendicant orders they both emphasized a strict observance of poverty; as apostolic orders, they were dedicated to the ministry of preaching. Yet there was a noticeable continuity between the newly founded mendicant orders and the older forms of monasticism and the life of the canons regular. At the risk of oversimplifying, we may say that the Franciscans adapted Benedictine monasticism to new needs while the Dominicans adapted the monastic observances of the Premonstratensians to the assiduous study of sacred truth, which characterized the Canons of St. Victor. The mendicant orders, however, were not simply a development of monasticism; much more than that, they were a response to vital needs in the Church: the need to return to the Christian life of the Gospel (vita apostolica); the need to reform religious life, especially in the area of poverty; the need to extirpate the heresies of the time; the need to raise the level of the diocesan clergy; the need to preach the Gospel and administer the sacraments to the faithful. This was especially true of the Dominicans, who were consciously and explicitly designed to meet the needs of the times and to foster the "new" theology, Scholasticism. The Franciscans, as we shall see, were more in the tradition of the old monasticism and sought to return to a life of simplicity and poverty. St Dominic Guzmán, born at Caleruega, Spain, in 1170 or 1171, was subprior of the Augustinian canons of the cathedral chapter at Osma. As a result of his travels with his bishop, Diego de Acevedo, he came face to face with the Albigensian heresy that was ravaging the Church in southern France. When they learned of the failure of the legates to make any progress in the conversion of the French heretics, Bishop Diego made a drastic recommendation. They should dismiss their retinue and, travelling on foot as mendicants, become itinerant preachers, as the apostles were. In addition to the Rule of St. Augustine, the early Dominicans used the customs of the Premonstratensians as a source for their monastic observances, for which reason they were often called canons as well as mendicant friars. What was peculiar to the Dominican Order was added by the first Chapter of 1216 and the General Chapter Of 1220: the salvation of souls through preaching as the primary end of the Order; the assiduous study of sacred truth to replace the monastic lectio divina and manual labor; great insistence on silence as an aid to study; brisk and succinct recitation of the choral office lest the study of sacred truth be impeded; the use of dispensations for reasons of study and the apostolate as well as illness; election of superiors by the community or province,; annual General Chapter of the entire Order; profession of obedience to the Master General; and strict personal and community poverty. From that time until his death in 1221, St. Dominic received numerous bulls from the Holy See, of which more than thirty have survived. The same theme is found in all of them: the Order of Preachers is approved and recommended by the Church for the ministry of preaching. St. Dominic himself left very little in writing, although we may presume that he carried on an extensive correspondence. The writings attributed to him are theBook of Customs, based on the Institutiones of the Premonstratensians; the Constitutions for the cloistered Dominican nuns of San Sisto in Rome; and a personal letter to the Dominican nuns at Madrid. Preachers of the Gospel need to be fortified by sound doctrine, and for that reason the first General Chapter of the Order specified that in every priory there should be a professor. Quite logically, the assiduous study of sacred truth, which replaced the manual labor and lectio divina of monasticism, would in time produce outstanding theologians and would also extend the concept of Dominican preaching to include teaching and writing. (56) Cf. Laurent, Monumenta historica S. Dominici, Paris, 1933, Vol. 15, p. 60. (57) Jordan of Saxony, Libellus de principiis ordinis praedicatorum, ed. H. C. Scheeben in Monumenta O. P. Historica, Rome, 1935, pp. 1-88. (58) The Fourth Lateran Council forbade the foundation of new religious institutes unless they were extensions of an existing institute or adopted an approved Rule. (59) W. Hinnebusch, The History of the Dominican Order, New York, N.Y., 1965, Vol. 1, p. 44. The Rule of St. Augustine was also adopted by numerous other religious institutes founded in the twelfth and thirteenth centuries. (60) Cf. W. Hinnebusch, op.cit., p. 49. On February 17, 1217, a third papal bull, Jus petentium, specified that a Dominican friar could not transfer to any but a stricter religious institute and approved the stability pledged to the Dominican Order rather than to a particular church or monastery. (61) I Constitutiones S.O.P., prologue; cf. P. Mandonnet-M. H. Vicaire, S. Dominique: l'idee, l'homme et l'oeuvre, 2 vols., Paris, 1938. (62) Cf. W. Hinnebusch, op. cit., p. 84. (63) Contra impugnantes Dei cultum et religionem. (64) I Const. S.O.P., prologue; cf. W. Hinnebusch, op. cit., p. 84. (65) I Const. S.O.P., n. 4; cf. W. Hinnebusch, op. cit., p. 351. (66) Cf. M. S. Gillet, Encyclical Letter on Dominican Spirituality, Santa Sabina, Rome, 1945 Mandonnet-Vicaire, op. cit. ; V. Walgrave, Dominican Self-Appraisal in the Light of the Council, Priory Press, Chicago, Ill., 1968; S. Tugwell, The Way of the Preacher, Templegate, Springfield, Ill., 1979; H. Clérissac, The Spirit of St. Dominic, London, 1939. (67) V. Walgrave, op. cit., pp. 39-42. Jordan Aumann, O.P. (1916-2007), was a theologian and spiritual writer who authored Christian Spirituality in the Catholic Tradition and Spiritual Theology.